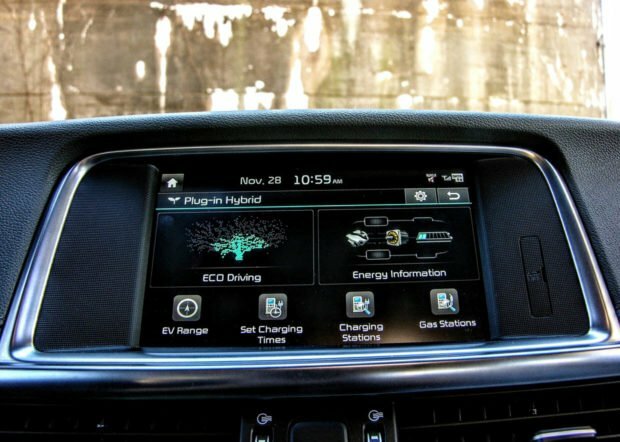 Despite their growing availability, many people still feel that plug-in hybrids are a waste of resources and money, a sentiment that automakers like Kia are working hard to to amend. 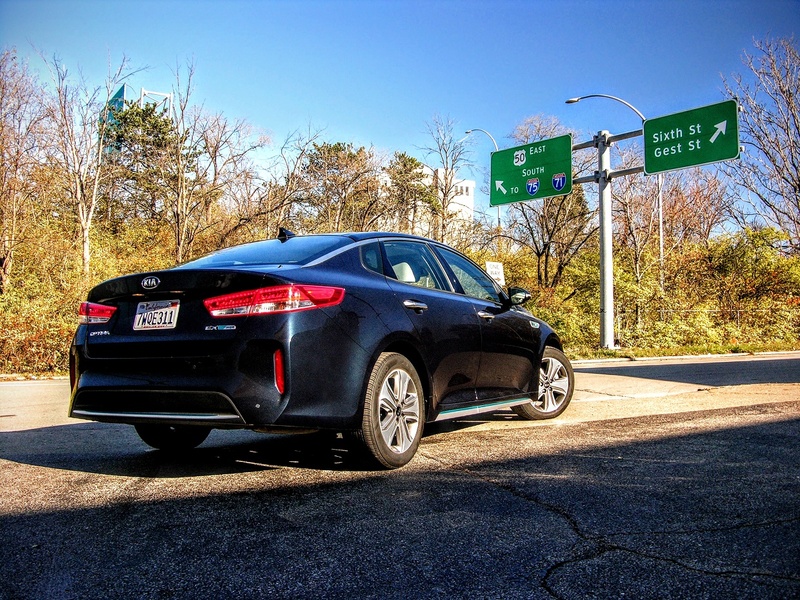 Unassuming from head to tail, and stuffed with all manner of “Eco-minded” engineering, the Optima PHEV plays Korean counterpart to Hyundai’s Sonata plug-in, both of which come powered and packaged in a very similar manner. 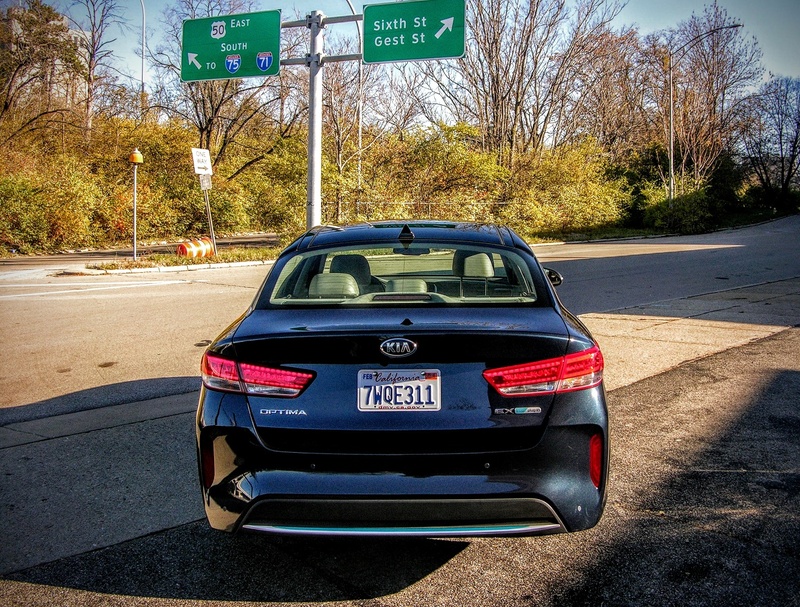 Despite their sibling similarities, there are some things about the Optima that make it stand out in the midst of the electricity-rifled automotive maelstrom, both in a positive and a negative light. After a full week of winding my way around town in one, I came out of the Korean sedan feeling somewhat satisfied, even if said satisfaction was accompanied by an underwhelming shrug. The future of transportation is living out its existence on the streets today, which is why the following ten touch-points matter so much. 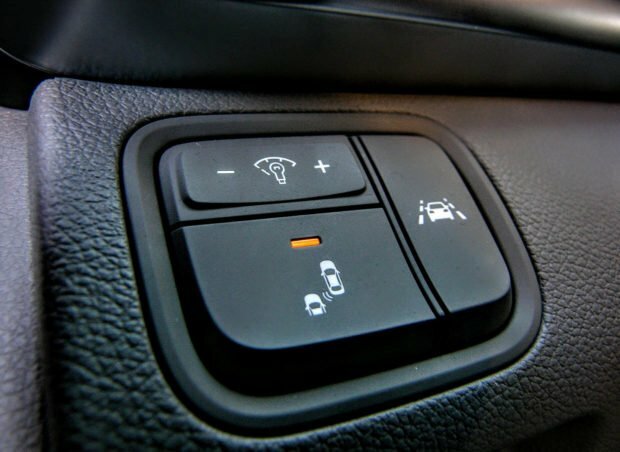 They might not be noticeable at first glance, but there are a few aesthetic touches spread across the plug-in version of the Optima that warrant mentioning. 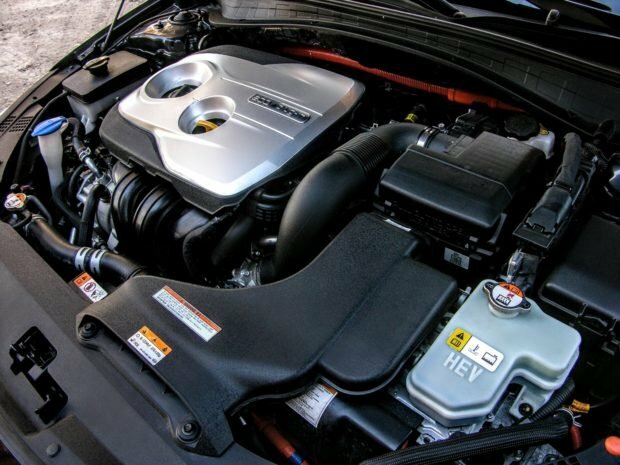 While the revised upper portion of the grille, with its smaller intake ducts and active air shutters may be the most functional and noticeable exterior design aspect, there are other features that deserve mention. 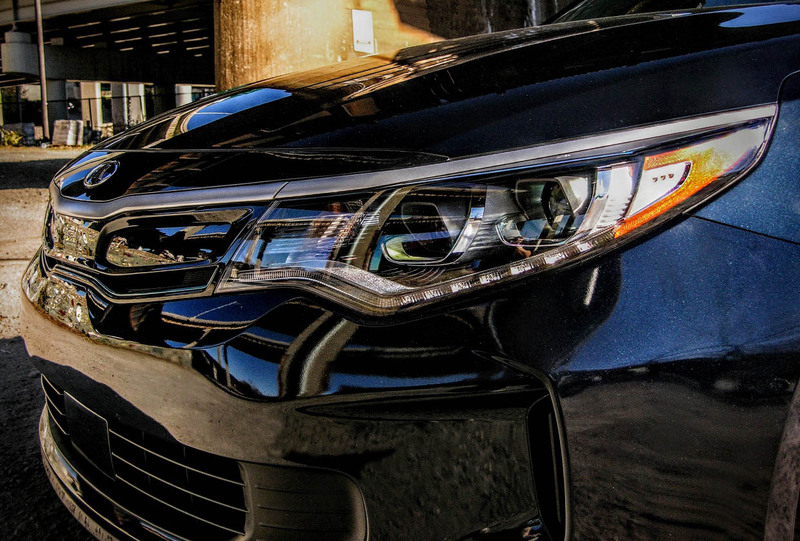 For starters, both front and rear bumpers have been revised for less drag, side mirrors fold automatically inward for greater on-street clearance, and there are subtle blue accents across areas of the vehicle’s ground effects that mirror the affixed blue-green “ECO plug-in” badges. It may not be memorable to most, but it’s a mild look that works well in this sedan segment, especially with LED lighting upgrades on board. Good for Kia for not trying to reinvent a vehicle that was already quite fetching to begin with. 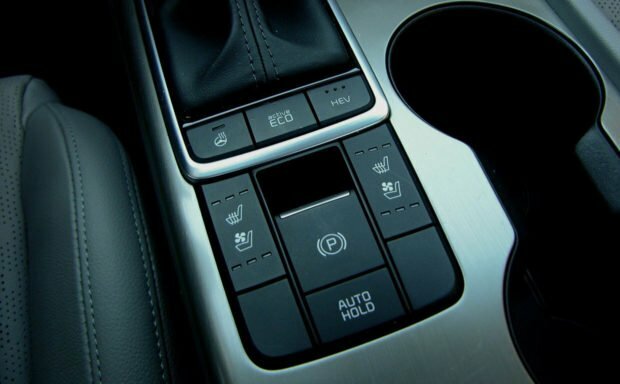 Although the SX-L version’s diamond-stitched leather upgrade still wins our vote for most attractive and gratifying Optima seats, the PHEV cabin is pretty nice, with a heated steering wheel, Harman Kardon audio, and an 8-inch navi coming standard. 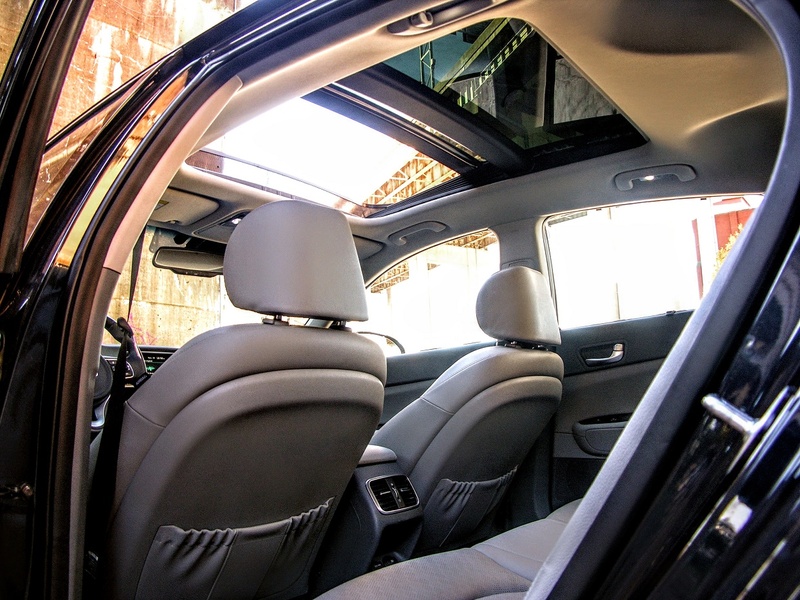 Comfortable almost to the point of being Cadenza-grade, the plug-in Optima’s interior setup is extremely well-made and easy to navigate, with plenty of space and sound deadening in all rows. Toss in the optional $5,250 EX Tech Package, and the bibliotheca-quiet cabin upgrades to heated outboard backseats, a power front captain’s chair with lumbar support, LED interior lighting, a panoramic sunroof, vented front cushions, and second row sunshades. It’s an outstandingly laid-out cockpit, and despite being a bit sapless in the appearance branch, offers a fantastic on-road experience for driver and passenger alike. The Optima may be smaller than both the Cadenza and K900, but it’s still a sizable sedan. 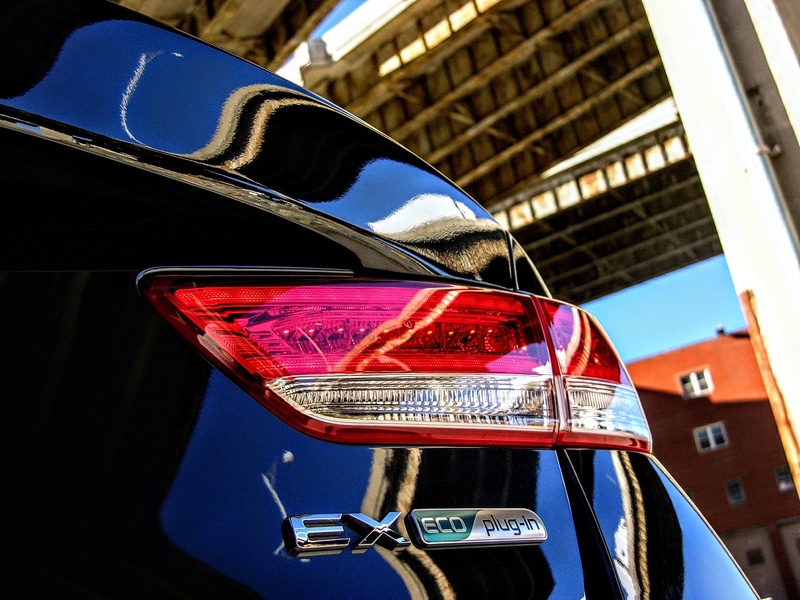 Add in the extra weight from all of that tech and PHEV power, and curb weights spike to nearly two tons, putting this version of the Optima into mid-size SUV territory. With that much weight on board, and a 2.0-liter motor/9.8kWh battery combo providing a meager 202 horsepower and 277 pound-feet of torque, getting up to speed tends to either be sluggish or spasmatic. Questions regarding how efficiency is being offset by this additional girth remain a concern, and I am curious as to what Kia plans to do in regard to this matter going forward. 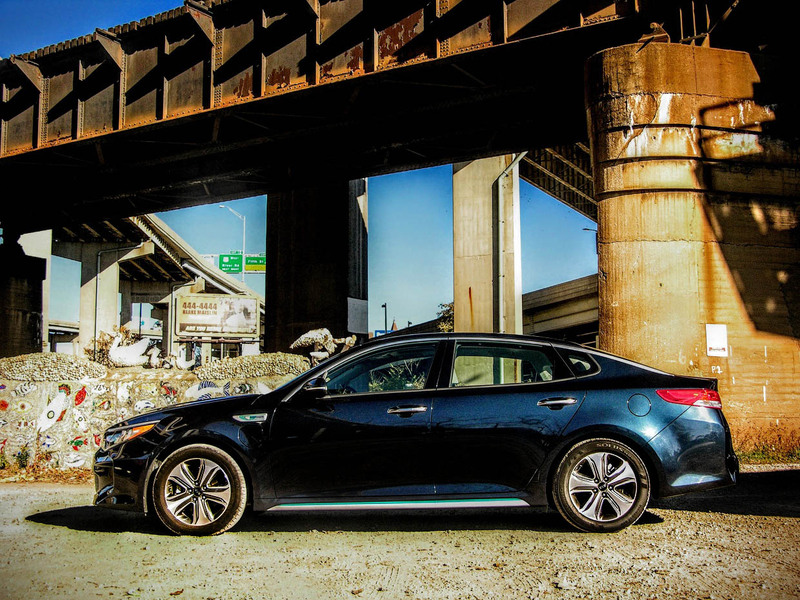 Despite having the same curb weight as a small orca, the plug-in Optima manages to put power down in a very controlled, dare we say refined manner. Getting from zero all the way up to 75 mph on battery power alone is completely possible in this car – you just have to baby the accelerator and remember that you run out of EV range at 29 miles. In contrast, skipping off the line via all 277 pounds of torque does offer enough electrified support to warrant a nod of approval, but don’t expect anything more than a nod. This is an unassuming cruiser, not a rabble-rouser, and should not be pushed hard for fear of running the rock-hard “green tires” ragged, and in turn receiving poor efficiency numbers. Despite its power-to-weight capabilities being languid at best, the Optima PHEV hits high marks for its smooth combustion engine engagement when driving, and having a traditional automatic gearbox in place of a CVT. That said, gearing within Kia’s silken 6-speed slushbox is just as good as ever, and under pressure prefers to plop down a gear in order to allow swifter overtakes. Stomping it not only provides adequate torque pull and electrified assistance at higher speeds, it also is necessary more times than one might want. 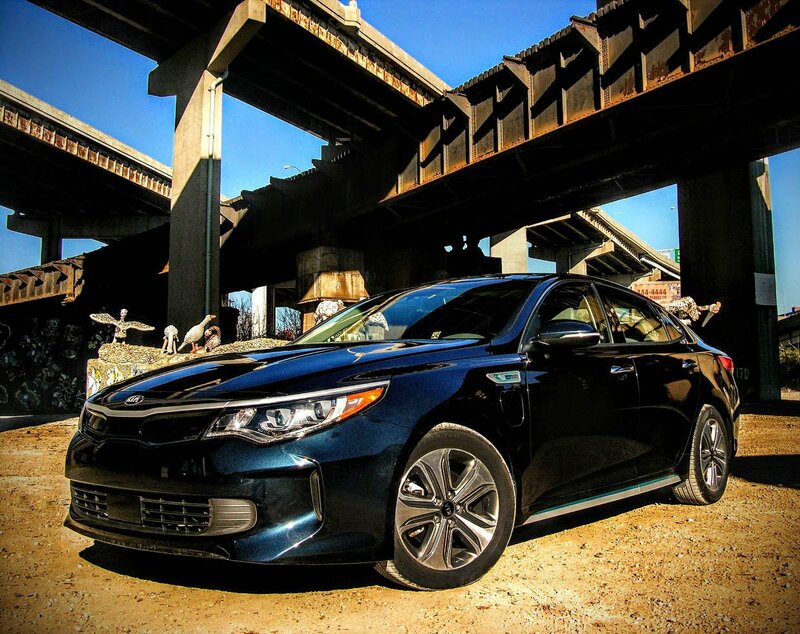 From getting up to speed on the interstate, to climbing a hill from a standstill, the plug-in Optima’s additional weight and diminutive power-to-performance gains push the foot to the point of being forceful. 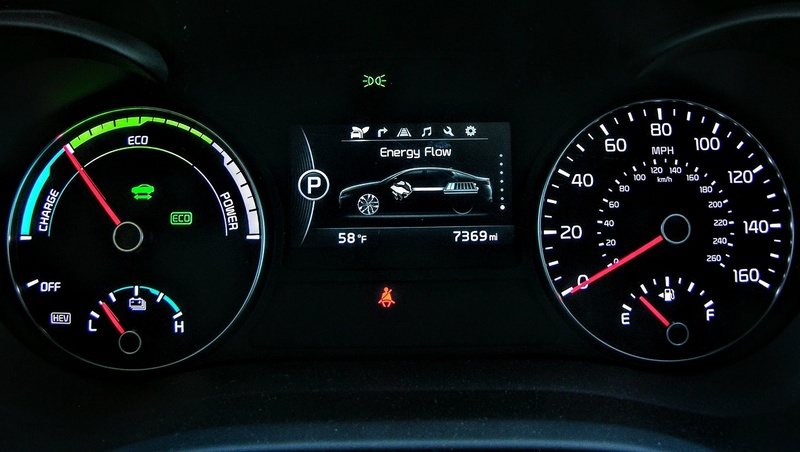 This means that if you wish to see the EPA’s estimated 40 mpg average, babying the throttle and coasting as much as possible is going to be a consistent concern. 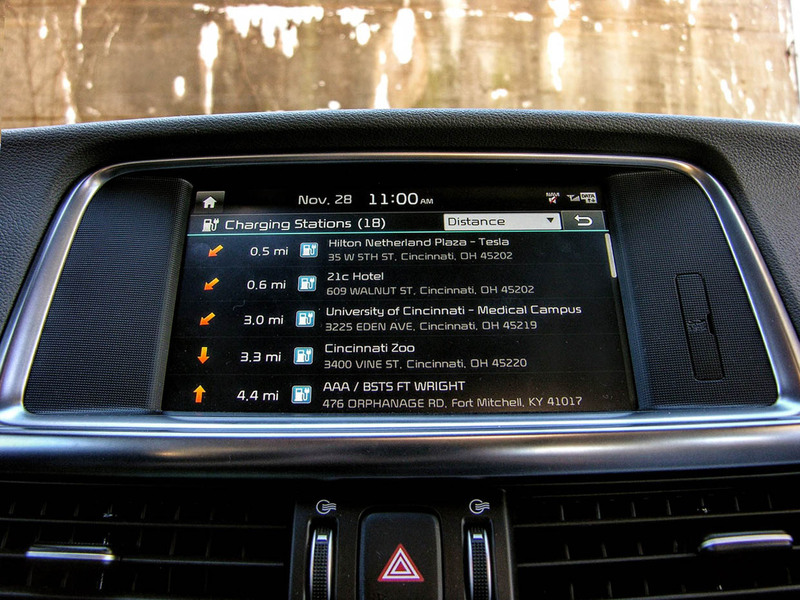 This may be an easy task in the nation’s flattest state, Florida, but not so much here in hilly Cincinnati, where monitoring driving etiquette in order to guarantee optimum efficiency results remains constant. In order to get that 9.8-kWh lithium-ion battery pack fully charged, about 9 hours is required when using a standard household 120-volt setup. A 240-volt plug offers a recharge in about a third of the time. If you’re feeling crafty and aren’t in a hurry, refilling the battery pack while on the move much like a normal hybrid is also possible; where regenerative braking and whatnot slowly but surely feed electricity back into the system. But where this sort of regeneration requires extremely slow movement or prolonged periods of idle time in order to reach capacity, the plug-in portion of the problem is becoming increasingly easy to remedy. 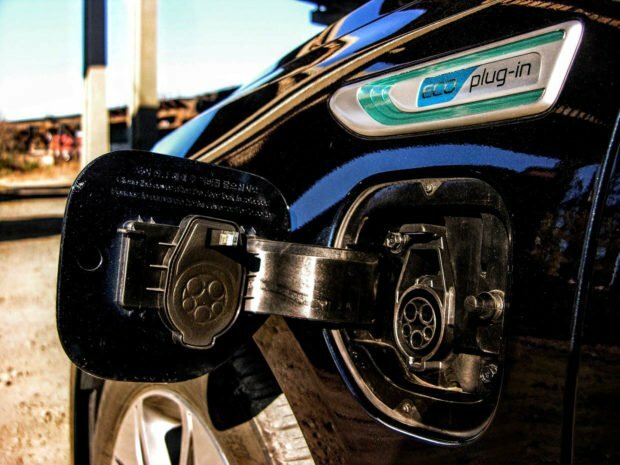 Charging stations are popping up in record numbers across America, making the notion of 3 hour excursions in the city more appealing than ever once a 240-volt-equipped parking spot has been located. Unlike other Optima trims, the heavyset plug-in hybrid doesn’t deliver the goods when it comes to carving a name for itself in the cornering department. All of that girth gives unprecedented amounts of body roll when going around bends, and being that the strut suspension out front and multi-link rear are designed for comfort over crispness, finding a connected feel with the pavement can be problematic. 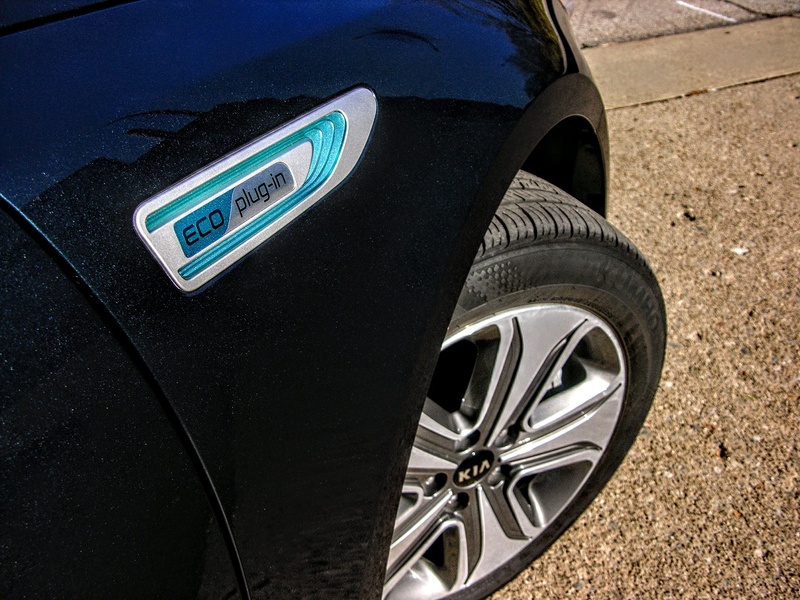 Adding further fuel to the floppy fire is the fact that in true hybrid fashion, the Kumho rubber wrapped around the Optima PHEV’s skinny 17-inch alloys is engineered for hard-lined efficiency more than grip. Noisy and prone to breaking-free when cornering, these compounds are by no means bad when compared to other compounds I’ve come across, but neither do they instill great levels of confidence. An overly assisted steering system also tends to cause the vehicle to wallow around with minimal feedback and loads of light driving feel, an issue that is not nearly as prominent in other versions of the sedan. Kia has triumphed in a multitude of various areas over the years, with its impressive packaging options playing a key role in the brand’s success. 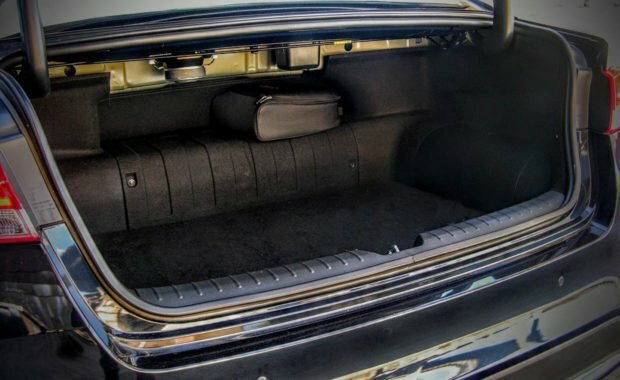 Standard perks on the PHEV Optima are no different, with the slew of aforestated interior upgrades being a strong selling point for the base model plug-in’s $35,210 starting price. Throwing the EX Technology Package at the Optima may pump-up the price point to a full $41,355 after destination charges, but it also is pretty all encompassing in the safety segment. For five grand more buyers get bending, auto-adjusting LED headlamps, the aforesaid cabin updates, as well as forward collision warnings and auto braking, blind spot detection, smart cruise, lane departure notifications, and rear traffic alerts. 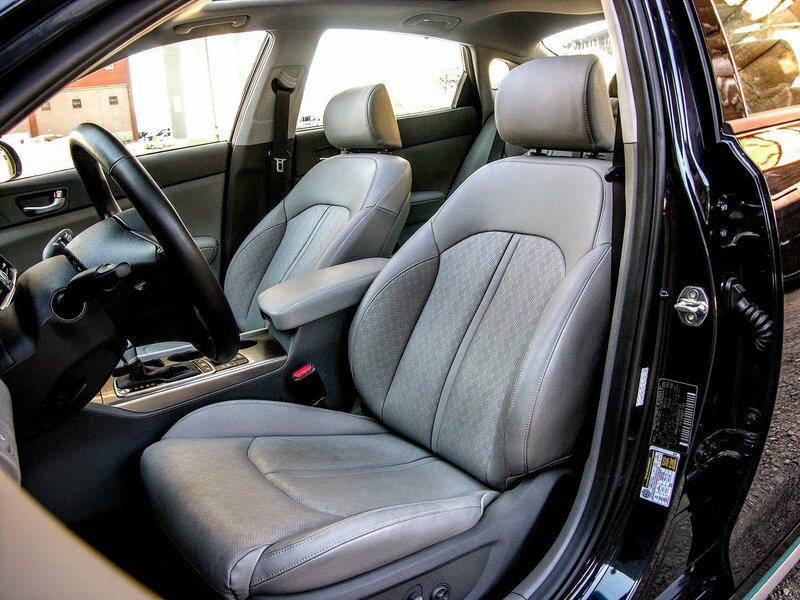 Floor mats however remain complimentary, and appear to do their job quite well. In essence, the cabin of this car does not noticeably suffer from the same space constraints that many of the Optima PHEV’s battery-packed competitors tend to exhibit. Rear leg and rump room feels fine for larger framed individuals, and although the missing three cubes toward the bottom of the trunk bed do make the remaining 13 cubic-feet appear nominal in print, in day-to-day life they are rarely missed. Perhaps my favorite part of the plug-in Optima though, is its potential. We already know that the car is well-built, which means that future interpretations can concentrate on gaining many of the things that make the SX-L model so outstanding, all while growing its ECO side in equal amounts. 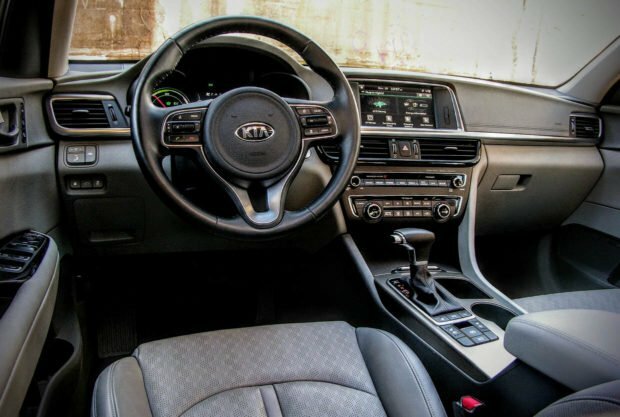 If Kia can find a way to reduce weight, make the cabin a little more memorable, refocus the suspension and steering, and drop a future engine/trans combo behind the front bumper, they’ll have a very impressive green sedan on its hands. I know that the line between affordable, efficient, spacious, opulent, and memorable is becoming more difficult to walk in today’s modern world. But throughout the past decade-and-a-half Kia has been able to pull off all form of surprise stunt, and even if the Optima PHEV as we know it dies, I am confident that the car that will replace it will be positively stellar.